Also known as the Ventimiglian town for that noble family held the power of the city for two centuries in the Middle Ages. This town is the capital of Madonie, and is wrapped by lush forests of mannah ash and chestnuts. The huge castle was built at he beginning of the 14th century by Count Francesco Ventimiglia where the ruins of the Byzantine town Ypsigro had been. 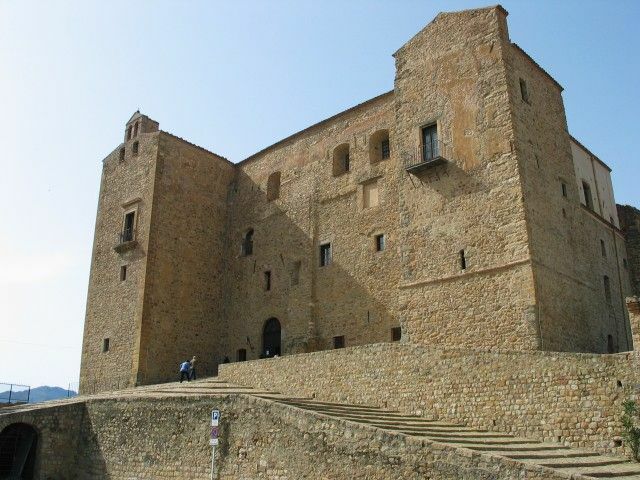 Castelbuono was named after Castrum Boni which lords over an array of houses. The castle was only used as residence, reason why, if needed, the Ventimiglias enlarged or modified it many times. Different architectural styles combine in it: the Arabic cube shape, the square towers and the battlements of the Norman style, and the Swavian architecture, brought by Frederick II, is mirrored in the round tower. The three storeyed castle’s inhabitants occupied three different floors: the servant on the first floor, the nobles on the second and the third for guests and the court. There are different areas in the castle: some rooms are devoted to archaeology, the history of the castle and the town (pieces of jewellery and religious artefacts are displayed in them). Other rooms are occupied by modern and contemporary exhibitions, however the paintings lack explanations. The castle boasts its own ghost stories. It is said that Queen Constance Chiaramonte haunted the castle and on every first Tuesday monthly her spirit goes along the corridors. The castle houses the magnificent Cappella di Sant’Anna or Cappella Palatina where some Giacomo and Giuseppe Serpotta’s stuccowork is exhibited. The chapel is where the relic of the skull of the town’s Saint patron Anna lies. Museo di Minà Palumbo also deserves a visit. Francesco Minà Palumbo not only gave its name to this institution but also his collection of the botany, natural history, minerals and archaeological background of the Madonie mountains. To describe the 12th century abbey Relais Santa Anastasia words cannot capture its beauty. It is situated amidst vineyards that provide excellent wine. The abbey will cast a spell on its visitors with its cobbled courtyard, exquisite rooms and culinary delights. 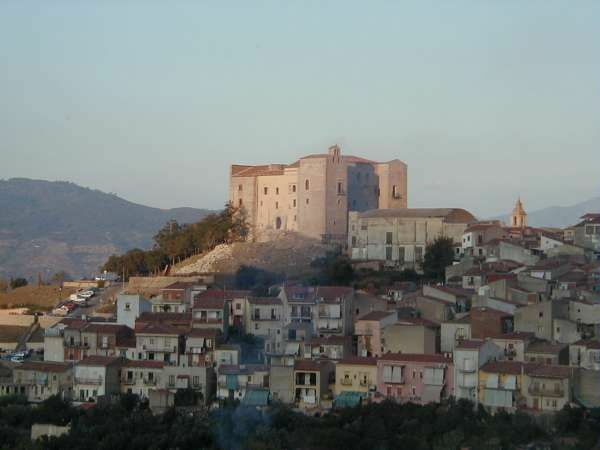 It is set 9 km away from Castelbuono heading for Cefalù. Madrice Vecchia was erected in th 15th century where the remains of a pagan temple had lain. The church boasts a Renaissance portico from the 15th century and a Catalan-Gothic central portal. A Romanesque mullioned window in the left bell tower is crowned by an octogonal spire lined with majolica tiles. The interior has a nave and three aisles, one of which was added in the 16th century. Many works of art are housed in it such as The Coronation of the Virgin whose author is not known for certain, perhaps Pietro Ruzzolone or Antonello de Saliba, a sculpture of Madonna delle Grazie by Antonello Gagini and a fresco representing Betrothal of the Virgins. The colums dividing the nave and the aisles are beutifully frescoed. Nangalarruni is highly recommended for serving excellent dishes with mountain flavours: including mushrooms, roast meat and wild boar, hosted by its excellent wine list. Starters and desserts are delights. Just relax, do nothing more than feel pleasure. There is no better place for manna cake than Fiasconaro. It is a speciality that cannot be missed. Chocolate–covered almonds, ice-cream and blancmange with puff pastry in it are a must at Antica Gelateria del Corso. 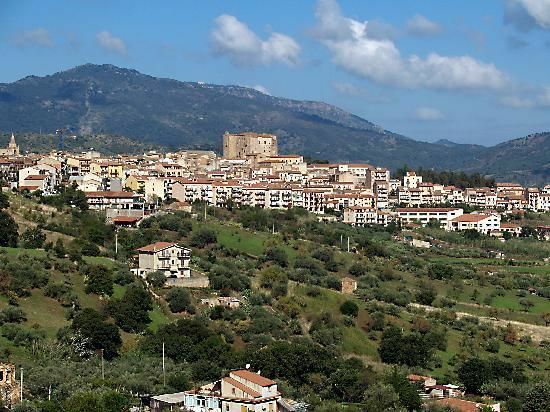 BY BUS: from Cefalù: Castelbuono`s railway station is the next eastern one of Cefalù. However, to get to the village you will have to go miles uphill.